Enjoyed your article about zombie homes. I’m actually relatively new to Boston, living in an apartment with my wife and two-year-old son. We have begun to think about buying a house where there is a decent public school but it is totally overwhelming. Do you have any tips for how we could proceed? Buy a zombie home, or another home? First off, welcome to Boston, P.L., and thanks for the email! 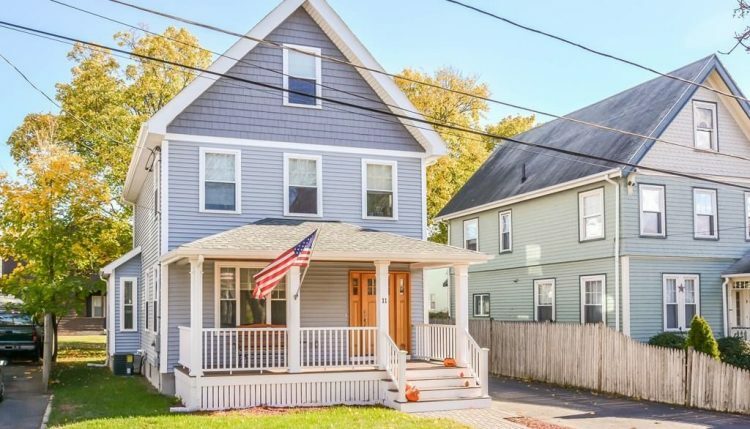 So, I’d say that if you find the regular home buying process in Boston overwhelming, then buying and completely remodeling a zombie foreclosure would be 10 times more overwhelming! There are a lot of legal issues to deal with since the former owner may be able to challenge the foreclosure for up to three years (this used to be up to 20 years, that’s one of the rules that was recently changed), and generally the home would need a ton of work – like months of contractors. And in my experience, the home buying process is actually fairly straightforward compared to completing a major renovation and working with contractors — there are a lot more variables inside a house’s walls than inside a purchase and sale agreement. Look into first-time home buyer programs. Check out some of the first-time home buyer programs that are available through Mass Housing and other organizations, depending on your income. You don’t have to be broke to get a low down-payment mortgage — in the Boston area, you can earn into the low six figures and still qualify for many first-time home buyer programs. Avoid the frothiest neighborhoods (like Cambridge). Everyone wants to live in Cambridge, Arlington, Brookline, Newton, parts of Somerville (Davis, Union, and Porter Squares), and parts of Boston like Jamaica Plain and Southie (or of course the Back Bay, South End, and Beacon Hill), for obvious reasons. For the most part, these places are all pretty overpriced at this point and out of reach for most buyers. With a lot of hustle and luck you might find something in your price range here, but these are extremely competitive markets. Don’t obsess over the very best schools. Don’t worry about getting into a town with the “best” public schools, like Weston, Lexington, etc. These places have been priced out of reach for normal folks for some time. Instead, focus on family-friendly towns with decent-to-good schools (the website greatschools.org can be of use, though it’s not perfect). Remember that even an average public school in Massachusetts is better than a good school in almost any other state. On GreatSchools, the ranking you see is relative to other school systems in Massachusetts, not nationally — so a score of 5 in Massachusetts might be equivalent to a 7 in, say, Ohio (or a 10 in Alabama). Try these towns near Boston. A little farther out (no longer on the subway), parts of Waltham are really nice, particularly along the Newton border – their schools aren’t bad, and it’s a far more diverse community, too. Reading, Wakefield, and Stoneham have cute downtown areas, commuter rail service, and decent schools. Personally, I adore Salem and Beverly, both of which are still surprisingly affordable given the coastal setting and charming, historic downtowns. But Salem’s schools are meh, and unless you work near North Station and take the commuter rail, both communities can be pretty difficult to get in and out of. Remember what they say about buying the cheapest house in the nicest neighborhood. If you really want a prime school district, then you can always look for slightly cheaper spots in fancy towns. For example, West Newton is a cute village area with some smaller homes that sell at a slight discount to the rest of Newton. Likewise, the northern part of Milton, which borders Mattapan and Dorchester in Boston, has many modest homes that are within reach of average home buyers. Farther out of the city, there are lots of more affordable options depending on how far from Boston you’re comfortable living. Prices on existing homes haven’t risen too badly along and outside I-495 yet, for example — most of the recovery has happened along or inside Route 128. Consider which commuter rail lines run near your work (unless you work off hours, or don’t mind sitting in traffic and have a free parking spot near work). Then, on a nice fall day, take the family for a day trip to one of these places and walk around the town center, check out the playgrounds, see if it feels like someplace you could live. We were very city-focused, and I’ve always regarded the suburbs and exurbs as kind of gross, soul-sucking, highway-and-strip-mall affairs, but I’m constantly surprised by how cute some of the outlying towns can be — such as Walpole. It has some really nice old homes, a cute town center, a couple of great Irish pubs, etc. I didn’t even know that place existed three years ago, much less where it was on a map, and here it is this charming little New England town — and there are tons of other quaint little towns just like that. So, what do you all think? Any advice for P.L.? Weigh in with your thoughts in the comments.